Have you ever thought what kind of damage your digital gadgets can bring to your skin. Also, city life and exposure to pollution does a lot of skin damage too. Researches show that living in cities makes you look older. The polluted urban air will make you age 10 per cent faster than anywhere else. Pollution is much more than the fumes coming out of vehicles.. While nitric oxide and hydrocarbons from burned fuel forms major component, don’t forget there’s all kind of floating debris in the air. Air pollution is known for causing premature aging, acne, accelerating wrinkles and dark spots, and drying out the complexion. Also, let’s not forget the damage done from digital devices. I am a kind of person who is glued to laptop more than 11 hours of my day. Phone and Tab are pretty much glued to my hands as well. I recently got awareness regarding the blue light from these devices which can actually cause damage for the skin. So, What next – How to take care of your skin from these threat ? Reducing Skin exposure to pollution is likely still the most effective method. Even working indoors doesn’t mean you’re free from exposure to pollution. That’s why it’s important to clean your skin at the end of the day, once it helps to remove all the potential irritants and pollutants that have attached to our skin throughout the day. Most importantly switch to skincare that protects your skin from these environmental aggressors including digital devices, pollution, infrared radiation and UVA/UVB. When skin’s appearance is affected by all these environmental assault or you have signs of aging, uneven skin tone, wrinkles, or an apparent loss of firmness, retinol products help minimize those concerns. Studies have clearly shown that retinol naturally turns around how skin appears—which makes it one of the most exciting skincare ingredient. The wonderful MURAD team kindly sent me some of the skincare products. In today’s post I will be discussing in detail on how I use each of them. My main skin concerns are tired and dull looking eye area ; blame the sleepless nights and long working hours. Also, pigmentation spots on my face and dehydrated skin. As I am in my late twenties, I was looking to introduce some of the anti-aging products to my skincare routine. This skincare lot arrived at the right time. I have been trying them since over a month now. Recently, I started to notice how dry and sensitive my skin has become. My skin used to be very smooth. Because of pollution, sun damage and sleepless nights, My skin had become drier and more sensitive to irregularities. I used to have a radiant looking skin. I knew Hydration is what I need! 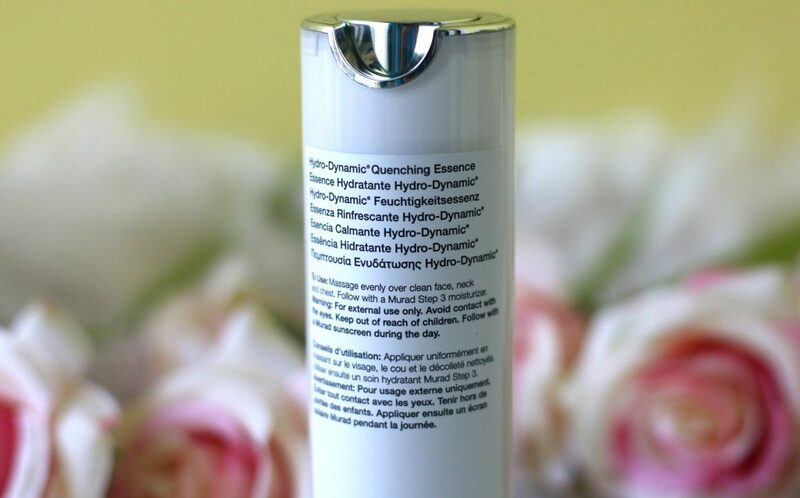 Murad Hydro-Dynamic® Quenching Essence*, 30 ml is the best product ever if you are looking for a hydrating serum for your face. 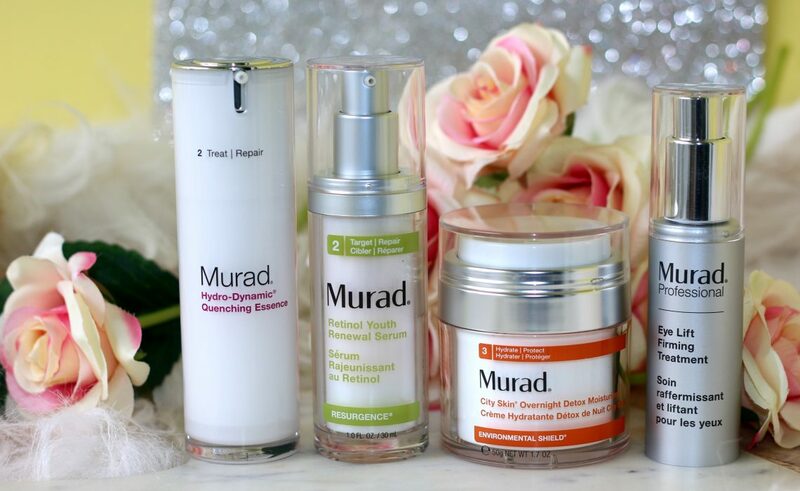 This is part of Murad’s Age Reform range. 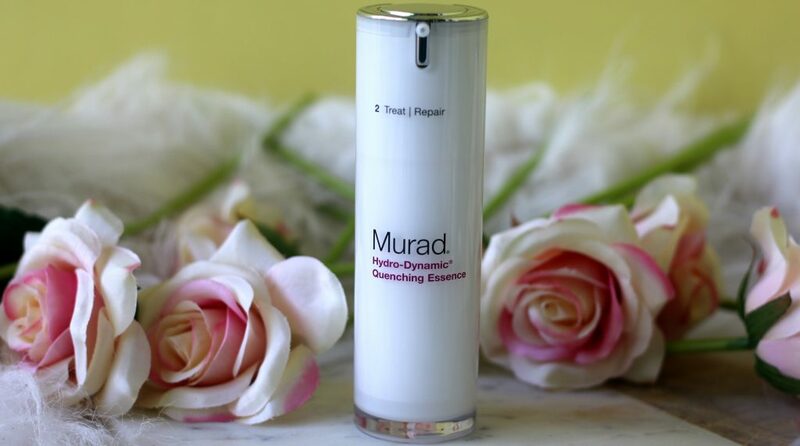 Packaging – Murad Hydro-Dynamic® Quenching Essence comes in a white/ clean pump bottle contains 30 ml of product. The pump packaging forms a hygienic way of dispensing. Also, I feel pump bottle benefit the shelf life of the product because there is no air and light in this way. 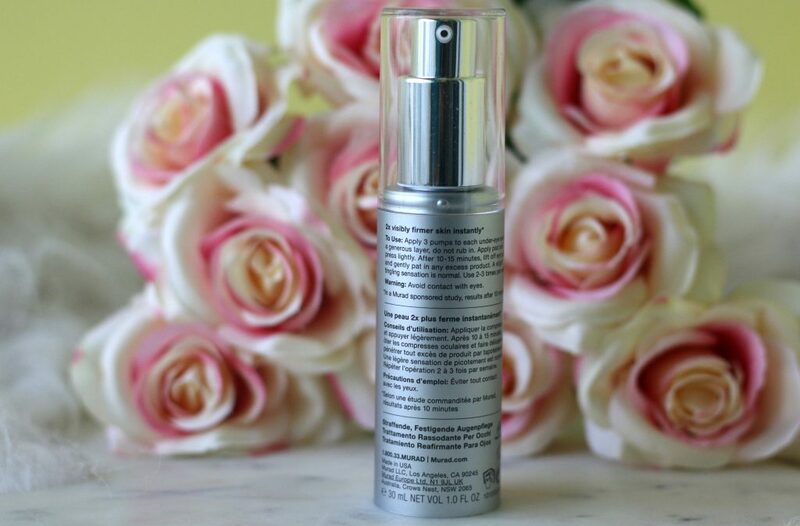 This moisture booster provides immediate hydration to the skin whilst improving the skin’s ability to retain moisture. Mexican Blue Agave Leaf extract works deep within the skin’s surface, restoring the ability to attract and retain water, resulting in more supple, plumper skin. The Glycolic Acid gently and evenly exfoliates to open hydration pathways in the skin and promote skin’s natural renewal. A botanical blend of Watermelon, Apple, and Lentil provides the building blocks of skin’s own Natural Moisturising Factor to help reduce dryness, flakiness, and rough patches. Directions to use – Every day after cleansing and toning, massage evenly over face and neck. You can use it morning and evening. 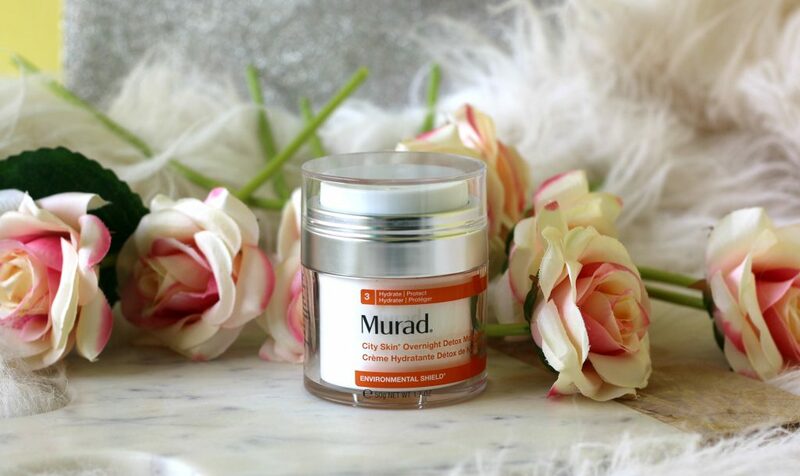 For optimal results, follow with a Murad Step 3 moisturiser. You only need a very little amount for the face. It feels very fresh and light weight on skin. I really like hthe way it cools the skin and instantly hydrate the skin. Feels pleasant and soft. When I initially applied this on my face, I almost felt it like a primer and the first thing I checked was obviously the ingredient list to see if there are any silicones. While doing makeup, Silicone spread primers are very useful, as they give a smooth base and make your skin feel like silk, at the same time filling the pores and hiding the problematic skin texture. 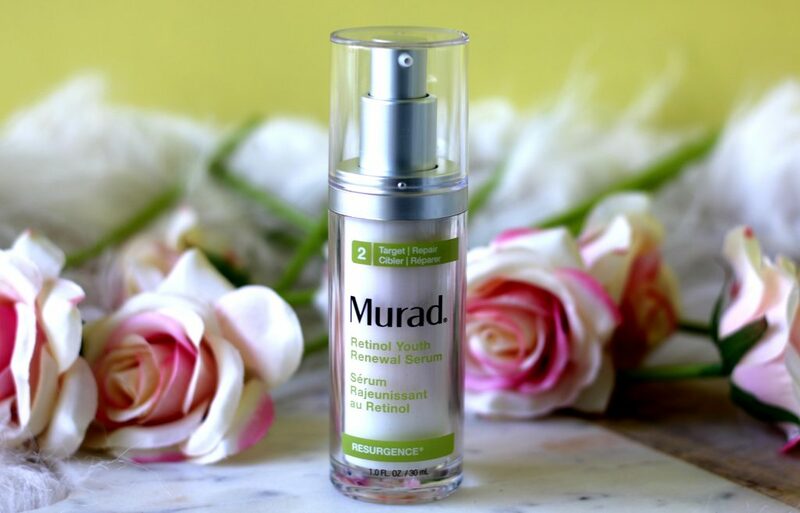 Good news is that there are no silicones in Murad Hydro-Dynamic Quenching Essence. This product totally lived upto its claims, I can immediately feel the results upon application. Skin felt extremely baby soft, supple and nice feels nice. Of course, radiant and hydrated as well. After this serum, I use my regular day cream. 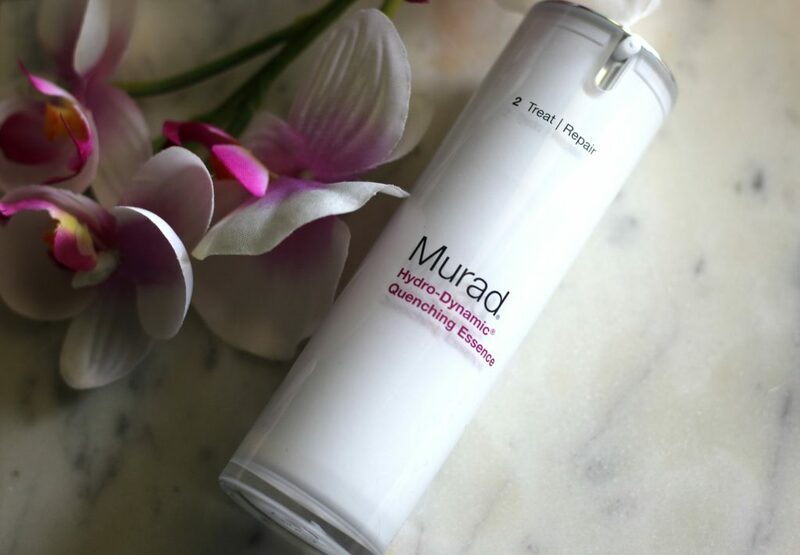 Murad advises using the Hydro-Dynamic Quenching Essence in combination with Murad Hydro-Dynamic Ultimate Moisture. As I don’t have it, I sue my own moisturiser. 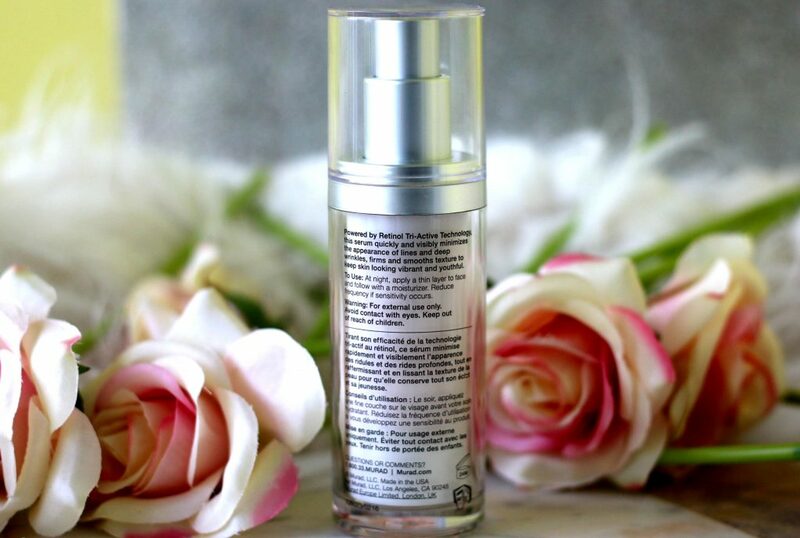 This is a serum that is basically intended for the mature skin to fill wrinkles and fine lines. However, I don’t have wrinkles or fine lines. 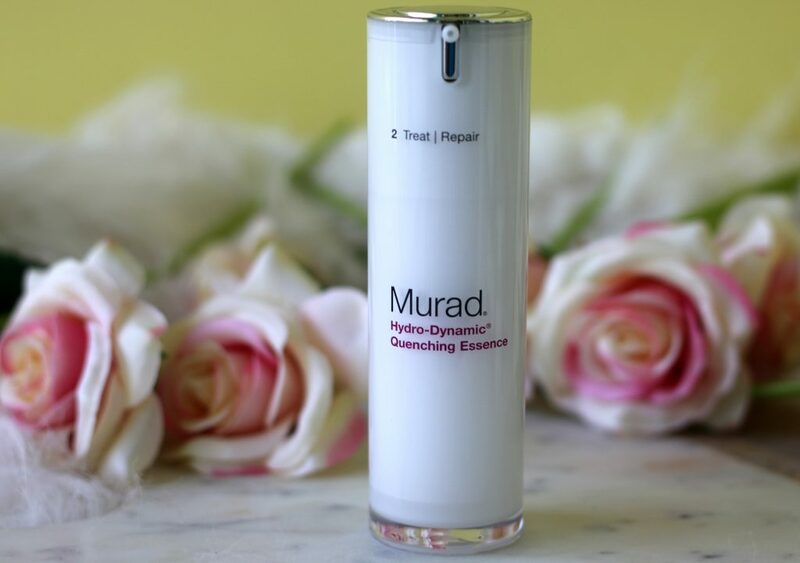 I mainly use Murad Hydro-Dynamic Quenching Essence mainly to supplement the lack of moisture on my skin and to give a boost to my dull and tired skin. This is excellent for that matter. 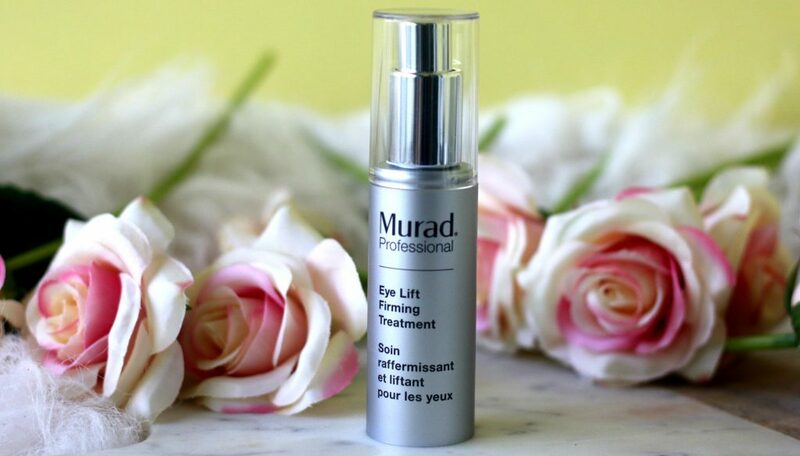 Eye Lift Firming Treatment* – 30ml is a targeted eye treatment that is designed to help smooth and firm the delicate skin around the eyes for a more youthful appearance. This gem is packed with Hyaluronic Acid for hydration and Amino Acids that help to lift and plump. This product claim to instantly lift the under eye area, Filling and tightening the eye area, with regular use – reduce the appearance of fine lines and wrinkles. How I used it – After cleansing, apply 3 pumps to each under-eye area in a generous layer – do not rub in. Just apply the cream thickly and place the eye pad and press lightly. You can leave it for about 10-15 minutes or until the pads are dry. Lift off eye pads and gently pat in any excess product. A slight tingling sensation is normal. Use 2-3 times per week. I tried this during night time. I could sense a slightest of the tingling sensation as it all soaked in and was getting absorbed. I didn’t leave any sort of greasiness or a sticky feel on my skin after taking the pads off my eye area. I just applied my usual night moisturisers before hitting bed. 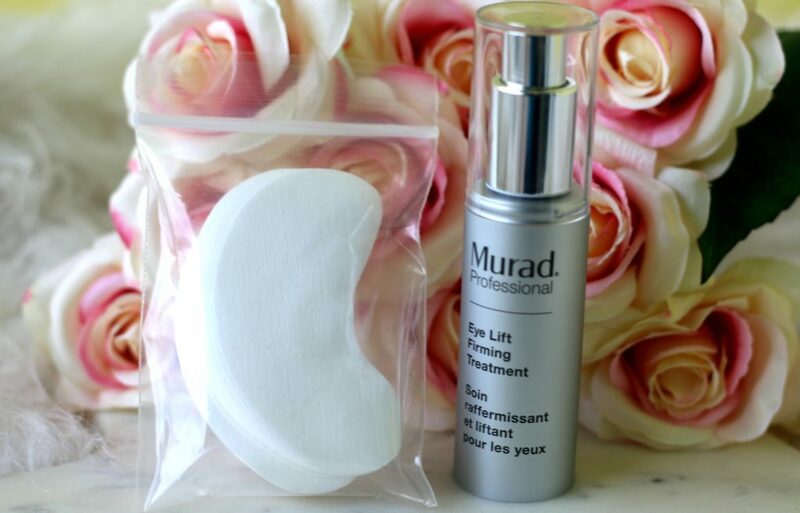 Packaging – The Murad Eye Lift Firming Treatment comes in a box with the pump cream and 40 eye pads. As suggested I used it 3 times a week and over the last couple of weeks, This definitely help me tired eye area. My under eye area is definitely looking fresher. I don’t have puffiness around my eyes. So, Can;t really comment on that part. I see the the dark circles look less noticeable. Crease looked brighter.and overall, I find the under eye area to me smooth and well hydrated. What I am little confused about is how effective would the cream alone without having to use the pads. I don’t know the answer to that. I have used facial sheet masks before. I feel sheet masks help in better absorption of the product. So, I am guessing here also that’s the case. 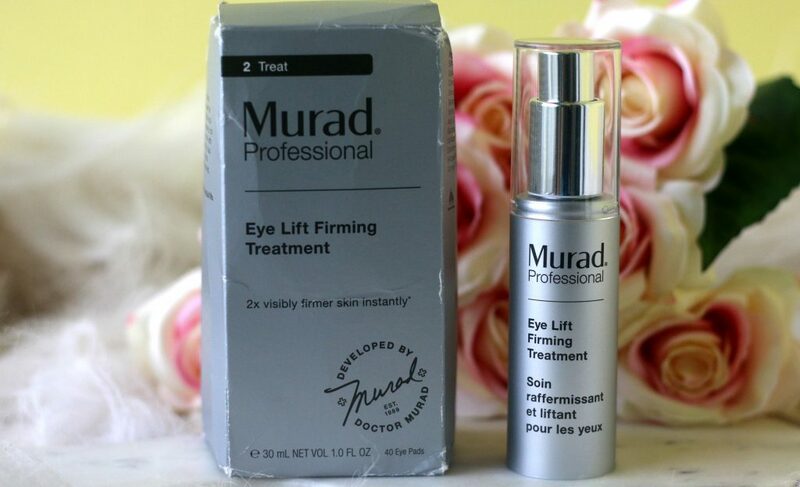 Anyways, Murad Eye Lift Firming Treatment is like a targeted eye treatment that can be used 2-3 times per week. I am going to continue using it and see if it fully reduce my dark circles. 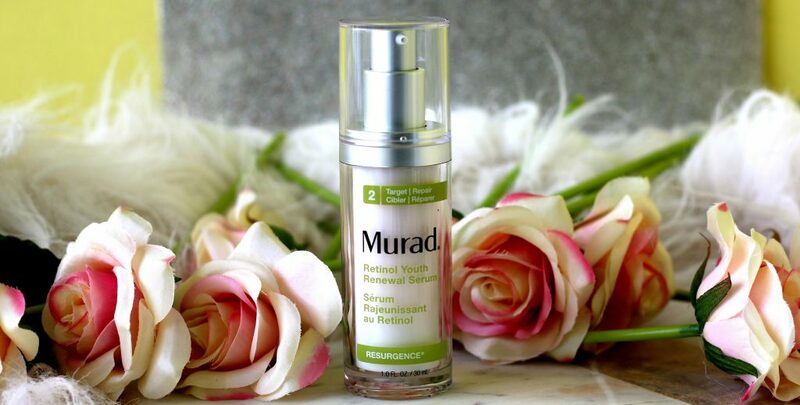 Directions to use – At night, apply a thin layer of Murad Retinol Youth Renewal Serum to clean face and follow with a moisturiser. Reduce frequency if sensitivity occurs. Right now, My main focus about targeted treatments are to get rid of the ever hilarious spots on my face from the previous breakouts. My skin, though sensitive respond quite well to retinol based products. 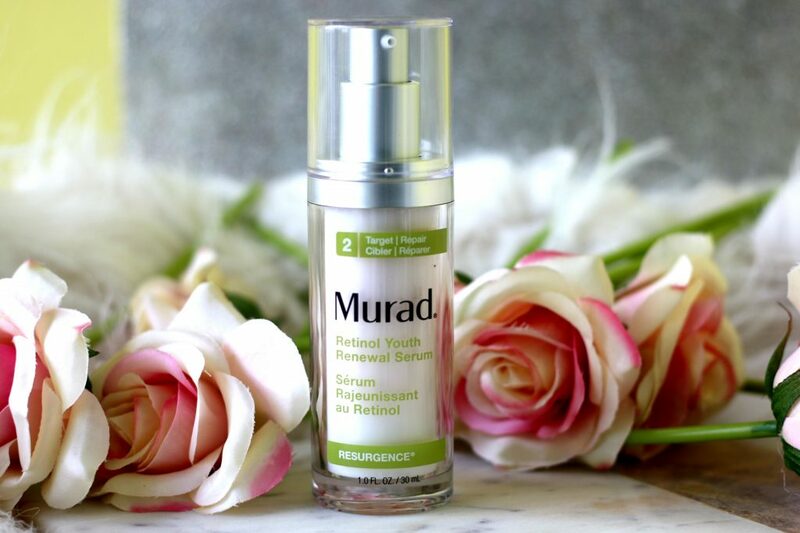 When I got sent the Retinol Youth Renewal Serum from Murad, I was so excited to try it. Especially, after reading my friend Ash’ review on her blog Ms Tantrum.The basic factors I consider while choosing a strong product for my skincare routine is whether it will suit my sensitive skin or will it burn/cause any irritation. Thankfully this didn’t irritate my skin. Also, it’s fast absorbing and you can layer your night moisturiser. It feels light weight on the skin. 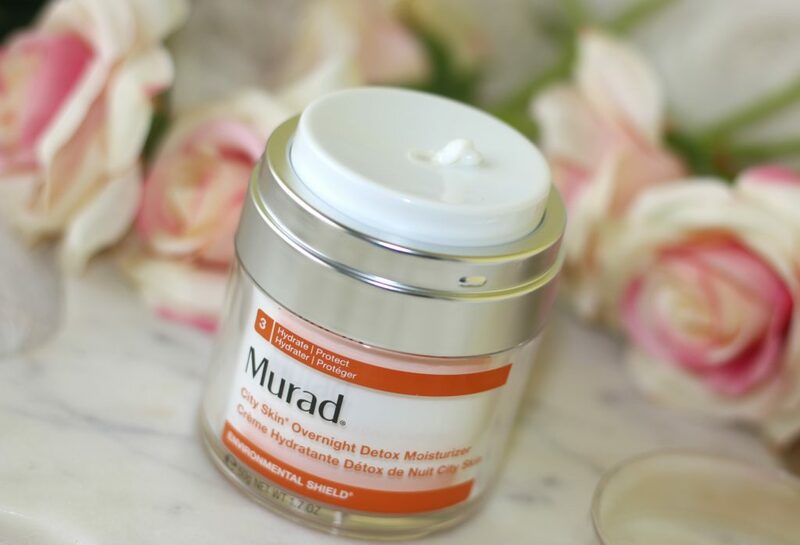 I use a moisturiser from Murad itself which I have discussed as the next topic. I was so impressed with its anti-ageing benefits. Ever day after I wake up, the first thing I do is check the mirror to see how my face look. I could see a nice glow on my skin the days I use this. Yes, I don’t use it ever night. I would suggest 2-3 times a week. It does contain fragrance and silicone, That’s why I don’t use it daily. I have heard silicones can give breakouts to some people. Luckily, it didn’t cause any breakouts on my skin. The mornings when I wake up, I could feel my skin looking much refined and smother. magic of hyaluronic acid as well.Like some other retinol products I have tried in the past- This one didn’t dry out my skin. It was so gentle on my skin and effective too. “Getting used to using retinol based products can be challenging. I recommend to start by applying it sparingly (approx the size of a pea for the entire face) at bedtime to clean skin. Apply your hydrating moisturizer directly over the retinol. Do not forget to use the moisturiser. Most people’s skin get a little dry and irritated when they first begin a Retinol cream or serum. It takes approximately 12 weeks to see the results, so stick with it if the breakouts are not so bad. Some might notice slightest peeling of skin. It’s quite normal. It’s not very visible. It’s very very minimal. However, make sure you hydrate yourself well, drink lots of water and include lots of fruits and juices in your diet. Check with your doctor before using retinol products if you are pregnant. Most importantly use a good hydrating moisturiser during day and night time and DON’T FORGET to apply a sunscreen in the morning. All Retinols increase your sensitivity to the sun. Detoxify and revitalize skin while you sleep. A daily dose of pollution and blue light from electronic devices can accelerate visible signs of aging. This formula neutralizes pollutants and strengthens skin’s barrier at night. Next-generation vitamin C helps brighten and even tone, while nourishing botanicals visibly plump skin to help reduce the look of fine lines and wrinkles—so you wake up to radiant, healthy-looking skin. The formula also boasts next generation Vitamin C, which visibly brightens the complexion and improves skin tone, whilst effective botanicals reduce the appearance of fine lines and wrinkles. 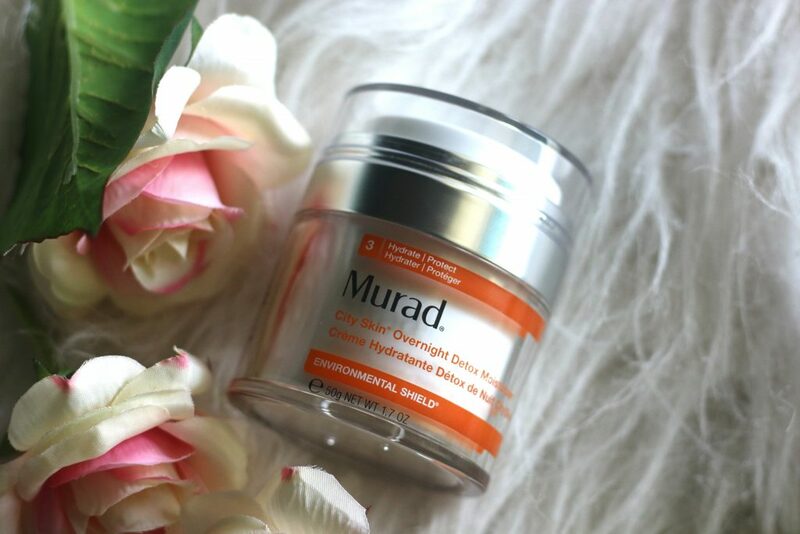 Here’s featuring my favorite product from Murad. 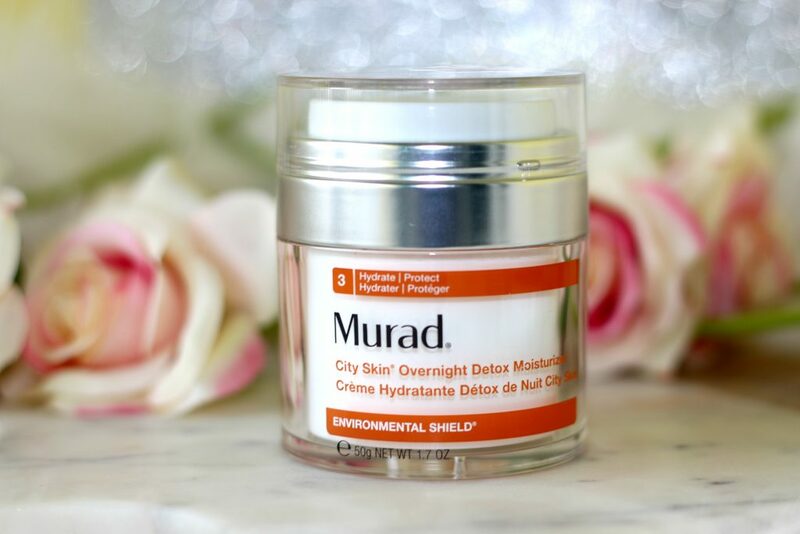 Murad City Skin Overnight Detox Moisturiser* – It’s made of a breakthrough formula with super-charged antioxidants from marrubium plant stem cells to detoxify skin and help visibly reduce lines and wrinkles. Vitamin C is one of my favorite active ingredients that I look for in a skincare product , next to retinol and glycolic acid. 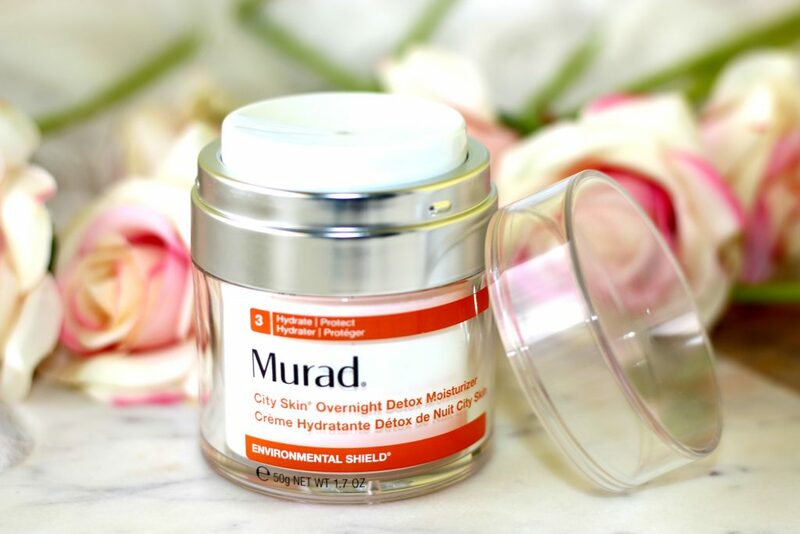 Murad City Skin Overnight Detox Moisturiser* not just moisturises your skin, But also detoxifies it overnight from the pollutants that have accumulated during the day. Its key ingredients are Marrubium Plant Stem-Cells, which neutralize pollutants and strengthen skin’s barrier while you sleep. A concentrated form of Vitamin C to help brighten and even skin’s tone, and to correct sun damage. 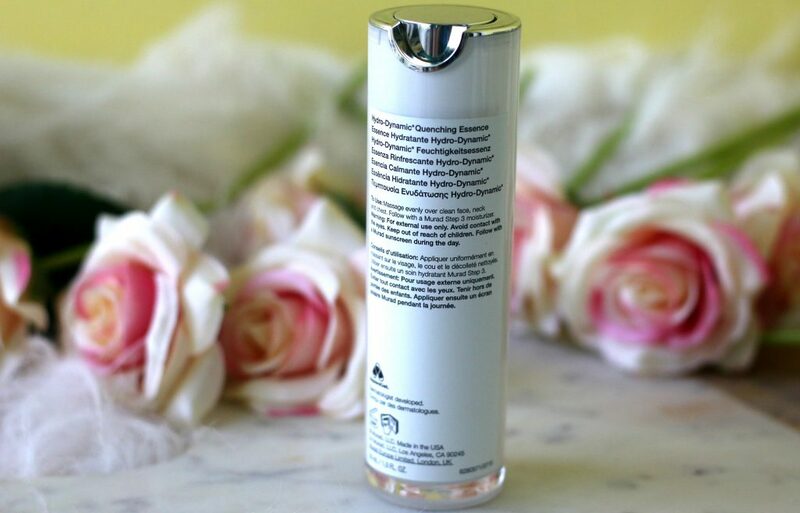 The formula also contains a botanical blend of sunflower, cucumber, and barley that contribute to nourishing skin’s moisture barrier, reversing pollution-related dehydration, restore youthful texture and smooth lines and wrinkles. Super impressive, right? Packaging – Another impressing thing about this moisturiser is its packaging. Though it’s the tub packaging. It’s the most convenient packaging I have ever seen. You only need to press the white pump on this airless jar and release till you get the desired amount. See the picture below. How cool is that. I like the fact that no amount of product gets wasted. Overall, I am so impressed with the results. It takes about a minute to absorb completely to the skin. It has a slight citrusy fragrance. My skin definitely feels more plump and even when I wake up as well as throughout the day. And the packaging is super sanitary which is a plus. I found this cream to be less thick compared to other night time moisturizers. 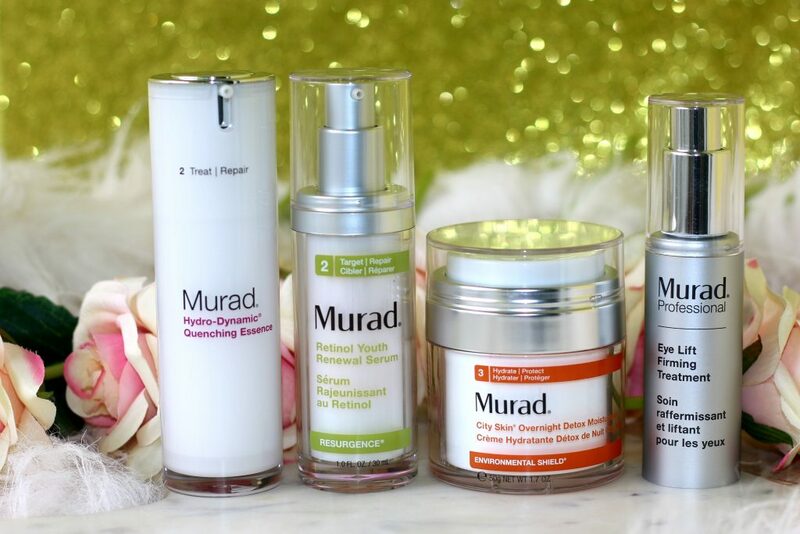 Overall, I love Murad products and I can’t wait to try some of their new launches pretty soon! I hope you all find this post useful. 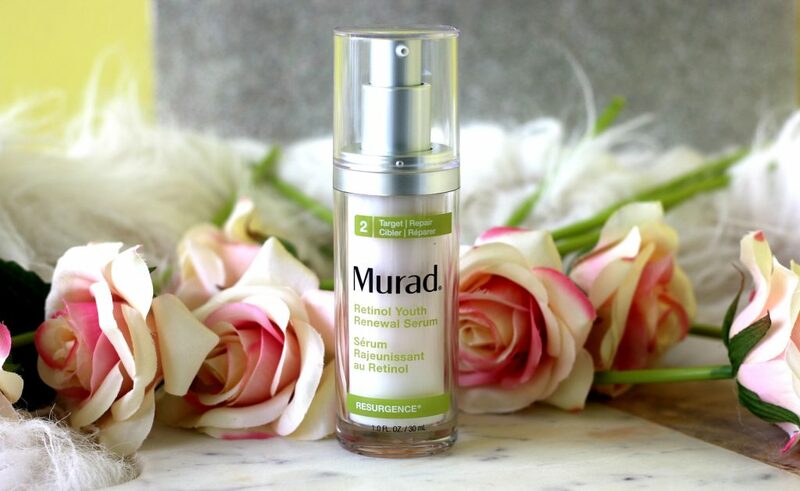 Acne treatment, anti-aging skin care, combination skin, Rosacea and redness, men’s skin care—no matter what your skin care concern, Murad has a product to address it. 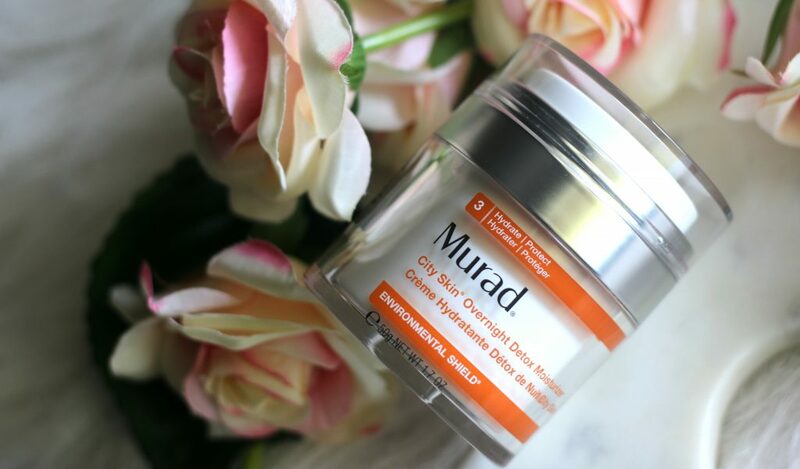 Whether you’re searching for a skin cleanser, a toner, a treatment, a mask, a moisturizer or sun protection, You have a variety of products to choose from Murad. 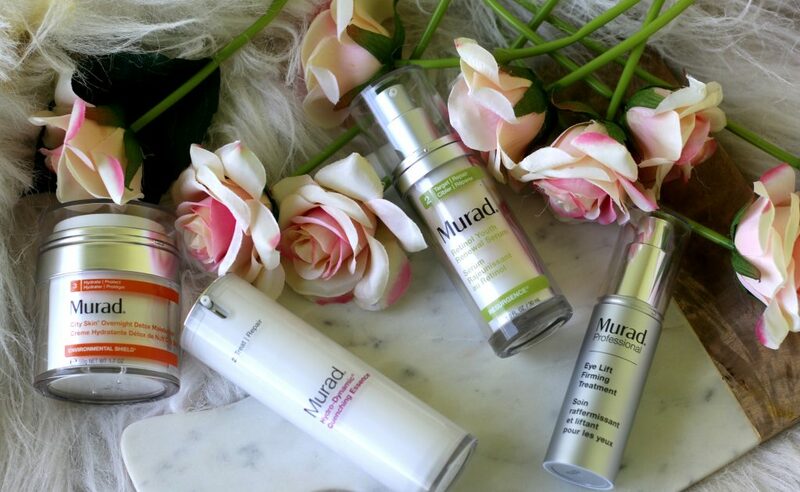 What’s your favorite Murad product ? These are amazing. Credit goes to u for using each one and mentioning the details so well. The prices are high and the brand is new to India. Will take time to penetrate. But looks promising for sure. Thanks Khushi…Do try them..There are lot of sites that ships Murad to India. 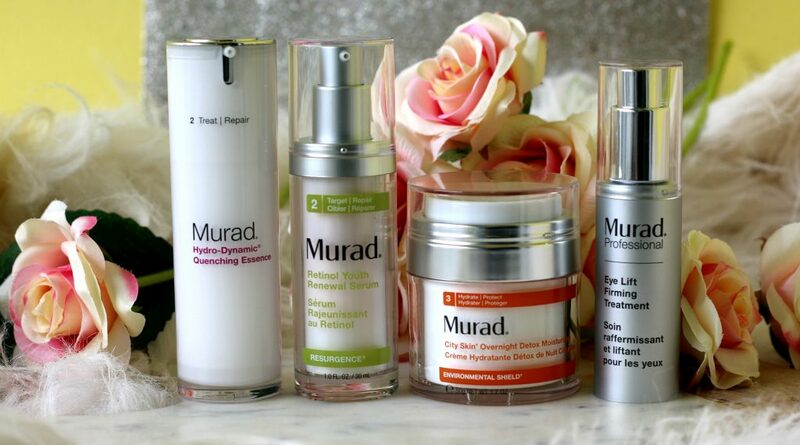 I’ve always wanted to try Murad’s skin care range but never got around to it. These products sound amazing for the ever busy girl. Hi Sangeeta….Do try them…You are going to love it. I love Murad products so much. This is one of the best skincare brands in market and I recommend trying their products to everyone. Retinol Serum won award too 🙂 . How amazing is the thirst quenching essence, I even use it before makeup. Wow.. Such a detailed post and such amazingly clicked pictures.. These looks amazing.. 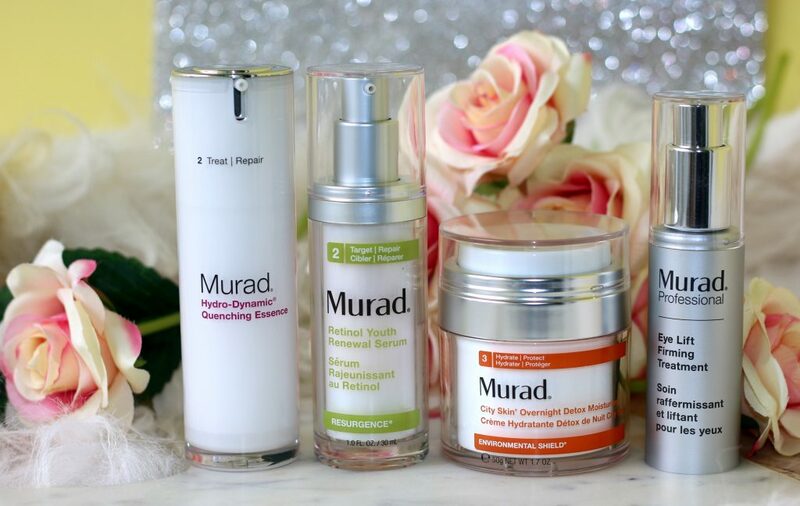 I am yet to try this brand..
Amazinggg Murad products you have! Its a full skin-care range here! Great post! Very detailed. Loved your pics as well. Products sound amazing and the packaging is nice and clean as well. I’ve been hearing about Murad a heap lately. Thank you for the great review.